It is obvious that such a God-centered lifestyle cannot be developed and maintained apart from a solid foundation of devotion to God and prayer. Only a strong personal relationship with the living God can keep such a commitment from becoming oppressive and legalistic. John writes that God’s commands are not burdensome; a godly life is not wearisome, but this is true only because a godly person is first of all devoted to God. To live this godly life we must first be devoted to God, and then live unto Him in a godly way. 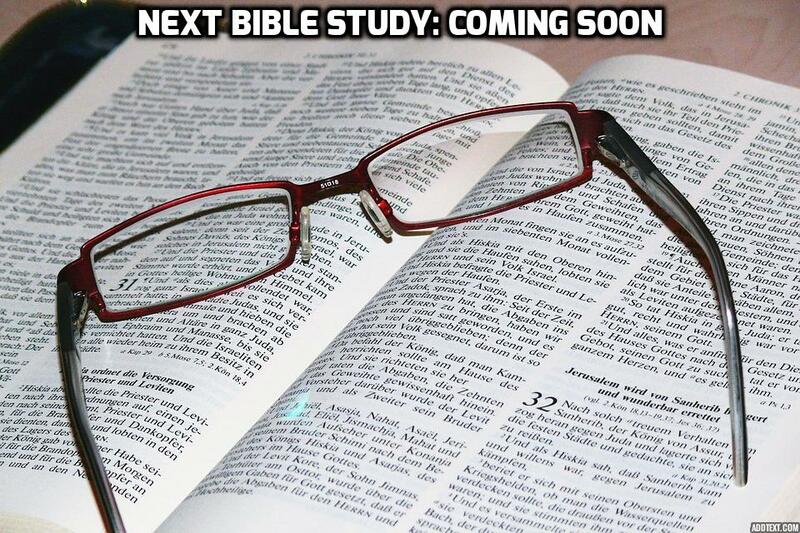 In this study we will learn how to live a godly life by applying these seven habits of a godly life to our life. We will learn what a habit is and a godly life, and how to apply these habits to our daily life. In honor to God we must live a godly life. God desire this of His children, because He is holy and righteous. Our goal is to stay focus on God and Who He is, and what He requires of us daily. We just finished a study on “The Lord’s Prayer,” now we will focus on a life accepted of God as we pray this prayer and live. “The Seven Habits of a godly life” by Dr. Charles Stanley………….Coming soon.